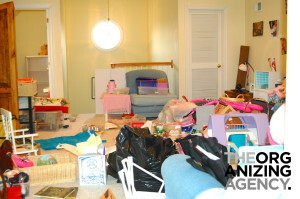 Stressed by the clutter when you walk in the front door? Often late for work, appointments, or to meet friends? Are Monday's to-do items still to-do when Friday arrives? 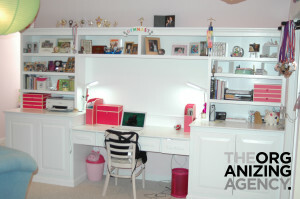 Don't know where to start organizing your home or office? Frustrated by your closet and feel like you have nothing to wear? Do you panic when friends or family drop by unannounced? 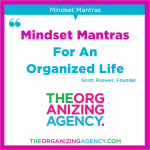 The Organizing Agency is an award-winning team of professional organizers that create organization and productivity systems for your environment at home or at work. We provide organizing services for residential and office spaces, including specialized offerings such as stress-free moving, renovation planning, closet design, virtual organizing and wardrobe styling. Our clients range from Georgetown students to Capitol Hill politicos, from working parents to business execs, and from renowned entertainers to individuals just like YOU. Anyone can organize your space, but it takes a professional to organize you. To get started, contact us online for the quickest response, or call 202.249.8330 to speak with a member of our team. If we’re out of the office, we’ll personally follow up with you the next business day. We provide professional organizing services throughout the Washington, DC metropolitan area. Additionally, we occasionally travel to other cities for client moves, second homes or if a client simply wants to work with only our team. With our virtual organizing service, we can assist you no matter where you live. We also have a network of professional organizers throughout the US and Canada we can refer to you.